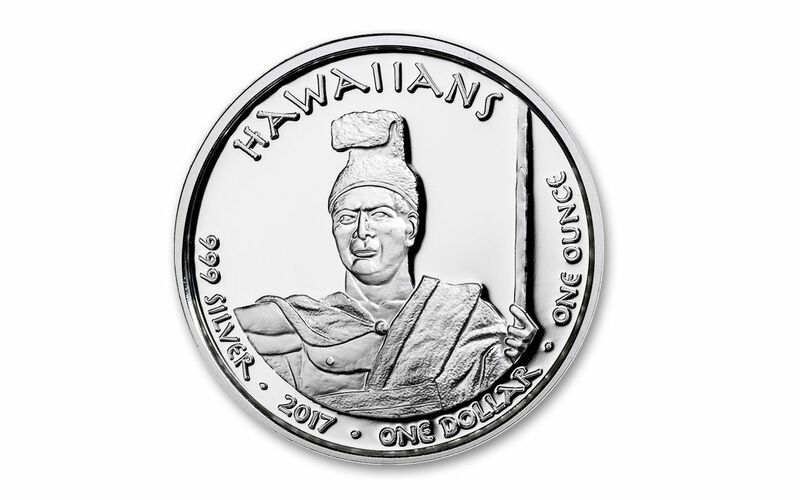 Order this 1-oz Silver Proof to Add Some Native Hawaiian Culture to Your Collection! When many of us think about Native Americans, typically tribes like the Seminole and Comanche come to mind. There were a large number of diverse Native American tribes that inhabited this area before it became the United States. However, Native Hawaiians are also Native Americans. This silver proof features a design paying tribute to Native Hawaiians and their culture. It was struck by the Native American Mint and issued in 2017. It’s actually just one design of an entire series issued by various Native American tribes. Each design in the series depicts a member of the respective tribe on one side and an animal that was important to the tribe on the other. Native Hawaiian Design – This coin depicts a Native Hawaiian on the obverse. The Hawaiian in this design is in traditional clothing. 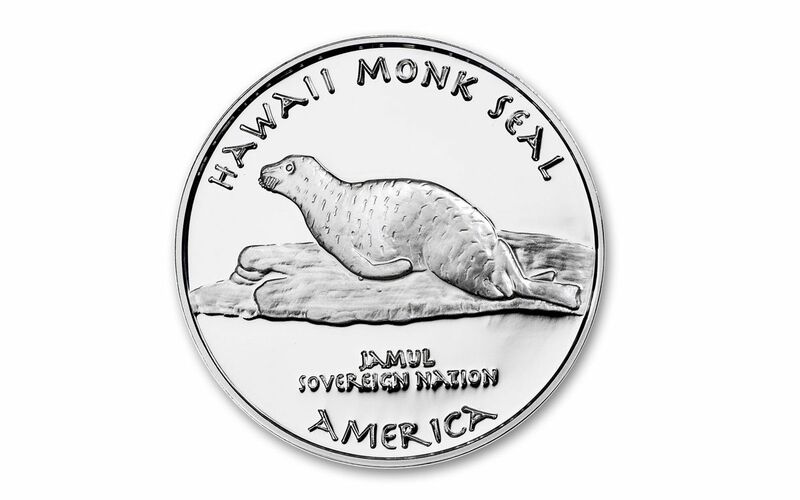 The design on the reverse shows a Hawaiian monk seal. This species of seal is now endangered. While they were important to the Native Hawaiians, their population sustained more damage from other groups. This coin is part of a series issued entirely by Native American tribes. Struck by the Native American Mint – Like the other coins of the Native Dollar series, this Proof was struck by the Native American Mint. It weighs one troy ounce. and is made of .999 fine silver. Face Value of $1 – If you look at the obverse you can see this coin has a face value of $1 backed by sovereign Native American tribes. However, this coin is not accepted as legal tender in the United States. Proof Condition – Minted using specially treated dies and struck two or more times. By striking it more than once the metal is forced into all the crevices of the die giving a very fine detail to the design on the coin. Don’t miss out! Order your 2017 1-oz. 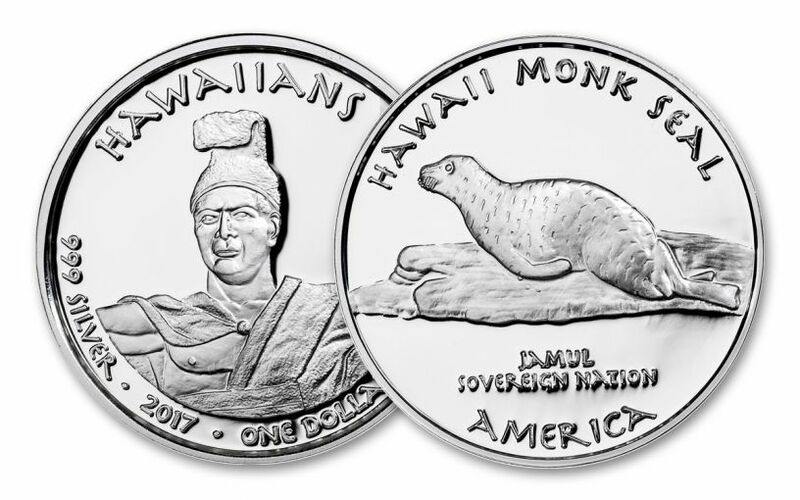 Silver Hawaii Monk Seal Proof from GovMint.com today!